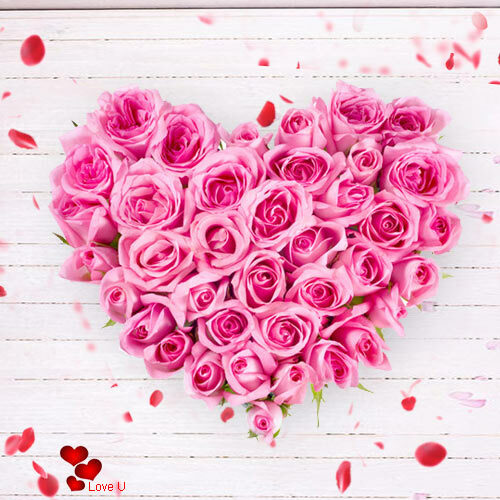 Heart Shaped Arrangement of 51 Pink Roses. Heart Shaped Arrangement of 101 Pink Roses. Heart Shaped Arrangement of 150 Pink Roses. Heart Shaped Arrangement of 200 Pink Roses.